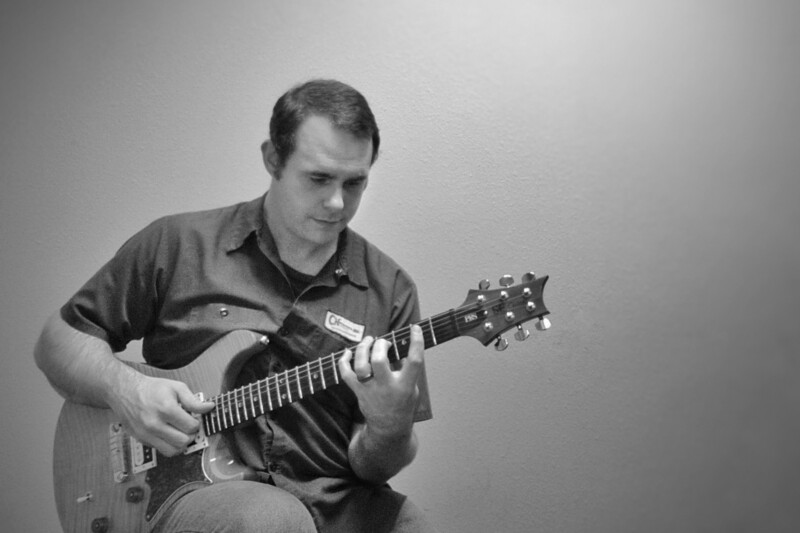 Jazz Guitar and Theory Specialist at Guitars, Etc. (2007-Present)—Helping students play jazz charts and a fair bit of Led Zeppelin, too. Music Teacher at Boomer Music (2014-Present)—Guitar, ukulele, and mandolin lessons in Fort Collins, Colorado. Curious Automata (2013-Present)—My record label, dedicated to unusual music. Analogues of Infinity (2013-Present)—Improvised solo electric guitar. Occasional Music (2015-Present)—Improvised solo acoustic guitar. Graphite Addiction (2005-Present)—Outside jazz trio. Building a better tree since 2004. The Pete & Vic Duo (2007-Present)—Vibraphonist Pete Ehrmann and I play swing, jazz, and popular songs from the golden age of American music. Project Studio Album—My compositions with guest artists. Guitar Warm-Up Book—Tons of stuff to keep your hands busy. Small Venues—A little music for little places. Vic Dillahay and Doug Carmichael (2010-2013)—A modern take on jazz, R&B, rock, and pop standards. Indigent Row (2011-2013)—Celtic rock from musician and composer Liam O’Beirne. Longmont Jazz Quartet (2010-2012)—Sax, vibes, guitar, and percussion. Sorry Little Blues Band (2006-2010)—Not little, not sorry. The Sick and Indigent Band (2007-2008)—Proto-Indigent Row, included because it played one gig. William Wilson (1999-2004)—Progressive Rock, perpetually under construction. Snarky Anarchy (2016)—Loud and angry. Also, improvised and loud. Droste Effect (2008)—Electronic and found music. How Long ’til We’re Forgotten (2007)—An exercise in futility. Dr. Tarr’s Asylum (2005)—Really, really weird. Colorado Music Instruction Center (2002-2007)—Achieve excelled learning thru technology. Vic Dillahay Music (1998-2002)—In-home guitar lessons.